"Cathedral city" redirects here. For other uses, see Cathedral city (disambiguation). City status in the United Kingdom is granted by the monarch of the United Kingdom to a select group of communities: as of 2014[update], there are 69 cities in the United Kingdom – 51 in England, six in Wales, seven in Scotland and five in Northern Ireland. The holding of city status gives a settlement no special rights. This appellation carries its own prestige and competition for the status is hard-fought. The status does not apply automatically on the basis of any particular criteria, although in England and Wales it was traditionally given to towns with diocesan cathedrals. This association between having a cathedral and being called a city was established in the early 1540s when King Henry VIII founded dioceses (each having a cathedral in the see city) in six English towns and also granted them city status by issuing letters patent. City status in Ireland was granted to far fewer communities than in England and Wales, and there are only two pre–19th-century cities in present-day Northern Ireland. In Scotland, city status did not explicitly receive any recognition by the state until the 19th century. At that time, a revival of grants of city status took place, first in England, where the grants were accompanied by the establishment of new cathedrals, and later in Scotland and Ireland. In the 20th century, it was explicitly recognised that the status of city in England and Wales would no longer be bound to the presence of a cathedral, and grants made since have been awarded to communities on a variety of criteria, including population size. The abolition of some corporate bodies as part of successive local government reforms, beginning with the Municipal Corporations (Ireland) Act 1840, has deprived some ancient cities of their status. However, letters patent have been issued for most of the affected cities to ensure the continuation or restoration of their status. At present, Rochester and Elgin are the only former cities in the United Kingdom. The name "City" does not, in itself, denote city status; it may be appended to place names for historic association (e.g. White City) or for marketing or disambiguation (e.g. Stratford City). A number of large towns (such as with over 200,000 residents) in the UK are bigger than some small cities, but cannot legitimately call themselves a city without the royal designation. In the 16th century, a town was recognised as a city by the English Crown if it had a diocesan cathedral within its limits, for which 22 dioceses existed in England & Wales (see City status conferment further in the article). This association between having a cathedral and being called a city was established when Henry VIII founded new dioceses (each having a cathedral in the see city) in six English towns and also granted them city status by issuing letters patent, demonstrating these were discrete procedures. Some cities today are very small because they were granted city status in or before the 16th century, then were unaffected by population growth during the Industrial Revolution—notably Wells (population about 10,000) and St Davids (population about 2,000). After the 16th century, no new dioceses (and no new cities) were created until the 19th century in England (a further city was created in Ireland during the rule of King James I in the 17th century). A long-awaited resumption of creating dioceses began in 1836 with Ripon. Ripon Town Council assumed that this had elevated the town to the rank of a city, and started referring to itself as the City and Borough of Ripon. The next diocese formed was Manchester and its Borough Council began informally to use the title city. When Queen Victoria visited Manchester in 1851, widespread doubts surrounding its status were raised. The pretension was ended when the borough petitioned for city status, which was granted by letters patent in 1853. This eventually forced Ripon to regularise its position; its city status was recognised by Act of Parliament in 1865. From this year Ripon bore city status whilst the rapidly expanding conurbation of Leeds – in the Ripon diocese – did not. The Manchester case established a precedent that any municipal borough in which an Anglican see was established was entitled to petition for city status. Accordingly, Truro, St Albans, Liverpool, Newcastle upon Tyne and Wakefield were all officially designated as cities between 1877 and 1888. This was not without opposition from the Home Office, which dismissed St Albans as "a fourth or fifth rate market town" and objected to Wakefield's elevation on grounds of population. In one new diocese, Southwell, a city was not created, because it was a village without a borough corporation and therefore could not petition the Queen. The diocese covered the counties of Derbyshire and Nottinghamshire, and the boroughs of Derby and Nottingham were disappointed that they would not be able to claim the title of city. The link with Anglican dioceses was broken within England in 1889 when Birmingham successfully petitioned for city status (it was pre-empted in Ireland by Belfast in 1888) on the grounds of its large population and history of good local government. At the time of the grant, Birmingham lacked an Anglican cathedral, although the parish church later became a cathedral in 1905. This new precedent was followed by other large municipalities: Leeds and Sheffield became cities in 1893, and Bradford, Kingston upon Hull and Nottingham were honoured on the occasion of Queen Victoria's Diamond Jubilee in 1897. The last three had been the largest county boroughs outside the London area without city status. Between 1897 and 1914, applications were received from a number of other boroughs, but only Cardiff was successful in 1905 being designated a city and granted a Lord Mayoralty as "the Metropolis of Wales". The London Government Act 1899 abolished the existing local authorities within the County of London and replaced them with 28 metropolitan boroughs. Among the bodies to be dissolved was the Court of Burgesses of the City of Westminster. William Burdett-Coutts, one of Westminster's members of parliament, brought forward an amendment to rename the proposed borough of Greater Westminster to City of Westminster. This was intended to give "recognition to the title which the area ... had possessed for over three and a half centuries". He felt that if the status was not retained for the new borough it "must necessarily disappear altogether". The amendment was rejected by the government, however, with the First Lord of the Treasury, Arthur Balfour, believing it would be "an anomaly which, I think, would be not unnaturally resented by other districts which are as large in point of population as Westminster, although doubtless not so rich in historical associations". The government eventually relented, with Balfour stating that "as soon as the necessary arrangements under the London Government Act have been completed, there will be conferred on the borough of Westminster, as constituted under the Act, the title of city, originally conferred in the time of Henry VIII". Letters patent were duly issued granting the title of "city" to the newly created Metropolitan Borough of Westminster. In 1907, the Home Office and King Edward VII agreed on a policy that future applicants would have to meet certain criteria. This policy, which was not at the time made public, had the effect of stemming the number of city creations. A minimum population of 300,000. A "local metropolitan character"—this implied that the town had a distinct identity of its own and was the centre of a wider area. A good record of local government. However, well into the 20th century it was often assumed that the presence of a cathedral was sufficient to elevate a town to city status, and that for cathedral cities the city charters were recognising its city status rather than granting it. On this basis, the 1911 Encyclopædia Britannica said that Southwell and St Asaph were cities. ...during the reign of his late Majesty it was found necessary, in order to maintain the value of the distinction, to lay down a rule as to the minimum population which should ordinarily, in connexion with other considerations, be regarded as qualifying a borough for that higher status. Following the First World War, the King made an official visit to Leicester in 1919 to commemorate its contributions to the military victory. The borough council had made several applications for city status since 1889, and took the opportunity of the visit to renew its request. Leicester had a population of approximately 230,000 at the previous census, but its petition was granted as an exception to the policy, as it was officially a restoration of a dignity lost in the past. When the county borough of Stoke-on-Trent applied for city status in 1925, it was initially refused as it had only 294,000 inhabitants. The decision was overturned, however, as it was felt to have outstanding importance as the centre of the pottery industry. The effective relaxation of the population rule led to applications from Portsmouth and Salford. The civil servants in the Home Office were minded to refuse both applications. In particular, Salford was felt to be "merely a scratch collection of 240,000 people cut off from Manchester by the river". Salford's case, however, was considered favourably by the Home Secretary, William Joynson-Hicks, who had once been MP for a neighbouring constituency of Manchester. Following protests from Portsmouth, which felt it had better credentials as a larger town and as the "first Naval Port of the kingdom", both applications were approved in 1926. The title of a city which is borne by certain boroughs is a purely titular distinction. It has no connexion with the status of the borough in respect of local government and confers no powers or privileges. At the present time and for several centuries past the title has been obtained only by an express grant from the Sovereign effected by letters patent; but a certain number of cities possess the title by very ancient prescriptive right. There is no necessary connexion between the title of a city and the seat of a bishopric, and the creation of a new see neither constitutes the town concerned a city nor gives it any claim to the grant of letters patent creating it a city. In 1928, Plymouth submitted an application for city status. As the borough had more inhabitants than Portsmouth and had absorbed Devonport and East Stonehouse, the King agreed to the request. However, he indicated that he had "come to an end of city making", and Southampton's application in the following year was turned down. The next city to be created was Lancaster as part of the celebrations of the coronation of King George VI and Queen Elizabeth. With a population of a little over 50,000, Lancaster was stated to be an exception due to the town's "long association with the crown" and because it was "the county town of the King's Duchy of Lancaster". Following the Second World War, members of Cambridge Borough Council made contact with Lancaster officials for assistance in their application. Cambridge became a city in 1951, again for "exceptional" reasons, as the only ancient seat of learning in the kingdom not a city or royal burgh and to coincide with the 750th anniversary of the borough's first charter of incorporation. Croydon also applied in 1951, but failed as it was felt not to have a sufficient identity apart from Greater London, and reports on the conduct of local government in the town were unfavourable. It was anticipated that the coronation of Elizabeth II in 1953 would lead to the creation of a city, and Wolverhampton, Preston and Southampton made approaches; the only civic honour given was that of a lord mayoralty to Coventry. Derby and Southwark made unsuccessful applications in 1955. The planned reorganisations by the Local Government Commissions for England and Wales from 1958 effectively blocked new city grants. Southampton lodged a petition in 1958. Initially refused in 1959, pending the decision of the Commission, it was eventually allowed in 1964. In the meantime, the administration of London was reformed under the London Government Act 1963. While the City of London was permitted to continue in existence largely unchanged, Westminster was merged with two neighbouring authorities to form a new London borough from 1 April 1965. In December 1963 it was announced that a charter was to be granted incorporating the new authority as "Westminster", and that the Queen had accepted the advice of the Home Secretary to raise the London borough to the title and dignity of city. This example, of a successor local authority to a merged local government entity taking on that former entity's city status, was to be replicated in many instances as a result of the 1972/74 local government reforms across England and Wales (see below). With the establishment of the Royal Commission on Local Government in England in 1966, city grants were again in abeyance in England. Attempts by Derby, Teesside and Wolverhampton to become cities were not proceeded with. In Wales, Swansea campaigned for city status throughout the 1960s. The campaign came to a successful conclusion in 1969, in conjunction with the investiture of Charles, Prince of Wales. The Local Government Act 1972 abolished all existing local authorities outside London (other than parish councils) in England and Wales. This meant that the various local authorities that held city status ceased to exist on 1 April 1974. To preserve city status new letters patent were issued to the most relevant metropolitan borough, non-metropolitan district or successor parish councils created by the Act. Some of these came to cover local government districts many times wider than the previous city, even taking in many square miles of rural land outside the urban areas, for example the cities of Bradford, Leeds and Winchester. Three non-local authority preservations arose: here charter trustees were established for the cities of Lichfield and Salisbury (or New Sarum) being neither districts nor civil parishes, and special letters patent for a time preserved the city of Rochester. In 1977, as part of the celebrations of the Silver Jubilee of Elizabeth II, the Home Office identified nine candidates for city status: Blackburn, Brighton, Croydon, Derby, Dudley, Newport, Sandwell, Sunderland and Wolverhampton. Ultimately, Derby received the award as the largest non-metropolitan district not already designated a city. In April 1980 a parish council was created for Lichfield, and the charter trustees established six years earlier were dissolved. City status was temporarily lost until new letters patent were issued in November of the same year. In 1992, on the fortieth anniversary of the monarch's accession, it was announced that another town would be elevated to a city. An innovation on this occasion was that a competition was to be held, and communities would be required to submit applications. Sunderland was the successful applicant. This was followed in 1994 by the restoration of the dignity to St David's, historic see of a bishop. Since 2000, city status has been awarded to towns or local government districts by competition on special occasions. A large number of towns have applied for the honour in recent decades including Blackpool, Colchester, Croydon, Gateshead, Ipswich, Middlesbrough, Milton Keynes, Reading and Swindon. Four successful applicants in England have become cities, as well as two in Wales; in 2000 for the Millennium Celebrations, the new cities were Brighton and Hove and Wolverhampton; in 2002 for the Queen's Golden Jubilee it was Preston and Newport, and in 2012 for the Queen's Diamond Jubilee it was Chelmsford and St Asaph. Other than the cities of London and Westminster, no local authorities in the Greater London area have been granted city status. The Home Office had a policy of resisting any attempt by metropolitan boroughs to become cities even when their populations, and other proposed claims as qualifying criteria, might otherwise have made them eligible. It was felt that such a grant would undermine the status of the two existing cities in the capital. The Metropolitan Borough of Southwark made a number of applications, but in 1955 the borough's town clerk was told not to pursue the matter any further. Outside the boundaries of the county, the County Borough of Croydon made three applications, all of which were dismissed as it was not seen as being sufficiently separate from London. When the successor London Borough of Croydon applied in 1965 the Assistant Under Secretary of State summarised the case against Croydon: "...whatever its past history, it is now just part of the London conurbation and almost indistinguishable from many of the other Greater London boroughs". The same objections were made when the London Boroughs of Croydon and Southwark unsuccessfully entered the competition for city status to mark the millennium: Croydon was said to have "no particular identity of its own" while Southwark was "part of London with little individual identity". When the most recent competition was held to mark the Golden Jubilee of 2002, Croydon made a sixth application, again unsuccessful. It was joined by the London Borough of Greenwich, which emphasised its royal and maritime connections, while claiming to be "to London what Versailles is to Paris". In this vein Greenwich joined Kingston-upon-Thames and Kensington and Chelsea in London in having the title of Royal Borough in 2012. Rochester was recognised as a city from 1211 to 1998. On 1 April 1974, the city council was abolished, becoming part of the Borough of Medway, a local government district in the county of Kent. However, under letters patent the former city council area was to continue to be styled the "City of Rochester" to "perpetuate the ancient name" and to recall "the long history and proud heritage of the said city". The city was unique, as it had no council or charter trustees and no mayor or civic head. In 1979, the Borough of Medway was renamed as Rochester-upon-Medway, and in 1982 further letters patent transferred the city status to the entire borough. On 1 April 1998, the existing local government districts of Rochester-upon-Medway and Gillingham were abolished and became the new unitary authority of Medway. Since it was the local government district that officially held city status under the 1982 letters patent, when it was abolished, it also ceased to be a city. Whilst the two other local government districts with city status (Bath and Hereford) that were abolished around this time decided to appoint charter trustees to maintain the existence of the city and the mayoralty, Rochester-upon-Medway City Council did not do so. Medway Council apparently only became aware of this when, in 2002, they discovered that Rochester was not on the Lord Chancellor's Office's list of cities. In 2010, it started to refer to the "City of Medway" in promotional material, but it was rebuked and instructed not to do so in future by the Advertising Standards Authority. Scotland had no cities by royal charter or letters patent before 1889. The nearest equivalent in pre-Union Scotland was the royal burgh. The term city was not always consistently applied, and there were doubts over the number of officially designated cities. The royal burghs of Edinburgh and Perth anciently used the title civitas, but the term city does not seem to have been used before the 15th century. Unlike the situation in England, in Scotland there was no link between the presence of a cathedral and the title of city. Aberdeen, Glasgow and Edinburgh were accepted as cities by ancient usage by the 18th century, while Perth and Elgin also used the title. In 1856, the burgh of Dunfermline resolved to use the title of city in all official documents in the future, based on long usage and its former status as a royal capital. The status was never officially recognised. In 1889, Dundee was granted city status by letters patent. The grant by formal document led to doubts about the use of the title city by other burghs. In 1891, the city status of Aberdeen was confirmed when the burgh was enlarged by local Act of Parliament. The Royal Burgh of Inverness applied for promotion to a city as part of the Jubilee honours in 1897. The request was not granted, partly because it would draw attention to the lack of any charter granting the title to existing cities. Aberdeen, Dundee, Edinburgh and Glasgow were constituted "counties of cities" by the Local Government (Scotland) Act 1929. The Act made no statement on the title city for any other burgh. In 1969, the Home Secretary, James Callaghan, stated that there were six cities in Scotland (without naming them) and Aberdeen, Dundee, Edinburgh, Elgin, Glasgow and Perth were the only burghs listed as cities in 1972. The Local Government (Scotland) Act 1973 completely reorganised Scotland's local administration in 1975. All burghs were abolished, and a system of districts created. The four districts of Aberdeen, Edinburgh, Dundee and Glasgow had City included in their titles by the Act. The 1975 districts were replaced with the present council areas by the Local Government etc. (Scotland) Act 1994 in 1996, and the same four cities were designated. Since the 1996 reorganisation, three more Scottish cities have been designated: Inverness as part of the millennium celebrations, Stirling in 2002 to commemorate Queen Elizabeth II's Golden Jubilee and Perth in 2012 to mark the Queen's Diamond Jubilee. In the case of these three cities, there are no city councils and no formal boundaries. In January 2008, a petition to matriculate armorial bearings for the City of Inverness was refused by Lord Lyon King of Arms on the grounds that there is no corporate body or legal persona to whom arms can be granted. City status in Ireland tended historically to be granted by royal charter. There are many towns in Ireland with Church of Ireland cathedrals that have never been called cities. In spite of this, Armagh was considered a city, by virtue of its being the seat of the Primate of All Ireland, until the abolition of Armagh's city corporation by the Municipal Corporations (Ireland) Act 1840. The only historic city with a charter in present-day Northern Ireland is Derry. Derry was given its first charter by James I in 1604, but the garrison was attacked and destroyed by Cahir O'Doherty in 1608. The present city is the result of a second charter granted in 1613 to members of the London guilds, as part of the Plantation of Ulster, providing for the building of a walled city, which was renamed Londonderry. In 1887, the Golden Jubilee of Queen Victoria was celebrated, and the Borough of Belfast submitted a memorial to the Lord Lieutenant of Ireland seeking city status. Belfast based its claim on its similarity to two English boroughs that had received the honour—the seaport of Liverpool and the textile centre of Manchester—and the fact that it had (at the time) a larger population than the City of Dublin. Following some legal debate, city status was conferred in 1888. The grant of the honour on the grounds of being a large industrial town, rather than a diocesan centre, was unprecedented. Belfast's example was soon followed by Birmingham in England and Dundee in Scotland. In 1994, Armagh's city status was restored. In 2002, Lisburn and Newry were two of the five towns in the UK that were granted city status by Queen Elizabeth II to mark her Golden Jubilee. In the case of Lisburn, the status extends to the entire local government district. Newry, like Inverness and Stirling in Scotland, has no formal boundaries or city council. The letters patent were presented to representatives of Newry and Mourne District Council on behalf of the city. If a town wishes to obtain the title of a city the proper method of procedure is to address a petition to the King through the Home Office. It is the duty of the Home Secretary to submit such petitions to his Majesty and to advise his Majesty to the reply to be returned. It is a well-established principle that the grant of the title is only recommended in the case of towns of the first rank in population, size and importance, and having a distinctive character and identity of their own. At the present day, therefore, it is only rarely and in exceptional circumstances that the title is given. In fact, a town can now apply for city status by submitting an application to the Lord Chancellor, who makes recommendations to the sovereign. Competitions for new grants of city status have been held to mark special events, such as coronations, royal jubilees or the Millennium. Some cities in England, Wales and Northern Ireland have the further distinction of having a lord mayor rather than a simple mayor — in Scotland, the equivalent is the lord provost. Lord mayors have the right to be styled "The Right Worshipful The Lord Mayor". The lord mayors and provosts of Belfast, Cardiff, Edinburgh, Glasgow, City of London and York have the further right to be styled "The Right Honourable the Lord Mayor" (or Provost), although they are not members of the Privy Council as this style usually indicates. The style is associated with the office, not the person holding it, so "The Right Worshipful Joseph Bloggsworthy" would be incorrect. There are currently 69 recognised cities (including 30 lord mayoralties or lord provostships) in the UK: 51 cities (23 lord mayoralties) in England, six cities (two lord mayoralties) in Wales, seven cities (four lord provostships) in Scotland and five cities (one lord mayoralty) in Northern Ireland. In the Republic of Ireland, the ceremonial head of the city government of Dublin is the Lord Mayor of Dublin. This title was granted by Charles II in 1665 when Dublin was part of the Kingdom of Ireland. Whilst the 1665 letters patent provided for the Lord Mayor to hold the formal title of Right Honourable, this was repealed in 2001. There is also a Lord Mayor of Cork, a title granted in 1900 when Cork was still part of the United Kingdom. In modern practice, competitions are held for cities that wish to gain the distinction of a lord mayor. The 2002 competition was entered by Bath, Cambridge, Carlisle, Chichester, Derby, Exeter, Gloucester, Lancaster, Lincoln, St Albans, St David's, Salford, Southampton, Sunderland, Truro, Wolverhampton and Worcester; the successful candidate was Exeter. In 2012 a further competition was held, as part of the Diamond Jubilee celebrations, with Armagh receiving the distinction. Eleven other cities entered the contest, namely: Cambridge, Derby, Gloucester, Lancaster, Newport, Peterborough, Salford, Southampton, St Albans, Sunderland, and Wakefield. City of Lancaster, including the towns of Carnforth, Heysham and Morecambe as well as Lancaster and surrounding rural areas. There are some cities where the local government district is in fact smaller than the historical or natural boundaries of the city. Examples include: Manchester, where the traditional area associated includes areas of the neighbouring authorities of Trafford, Tameside, Oldham, Bury and the City of Salford; Kingston upon Hull, where surrounding areas and villages that are effectively suburbs, such as Cottingham, which comes under East Riding of Yorkshire Council; Glasgow, where suburban areas of the city are located in East Dunbartonshire, East Renfrewshire, North Lanarkshire, Renfrewshire, South Lanarkshire and West Dunbartonshire; Wolverhampton and London. The holding of city status gives a settlement no special rights other than that of calling itself a "city". Nonetheless, this appellation carries its own prestige and, consequently, competitions for the status are hard-fought. Historically, city status could only be granted to incorporated towns. The grant was specifically awarded to the relevant local government area such as a civil parish or borough. However, recent grants have used a looser wording, where the status is awarded to the "town". In most cases the "town" is held to be coterminous with the relevant local government area, such that the city status holder is the corporate body of the council. Examples include the Letters Patent awarded to the "Towns of Brighton and Hove", the "Town of Wolverhampton" and the "Town of Newport in the County Borough of Newport". In each case the existing borough council became the city council. Most cities have city councils, which have varying powers depending on the country and type of settlement. Twelve of the 51 cities in England are in metropolitan counties and their city councils are single-tier metropolitan district councils. Outside the metropolitan counties eleven cities are unitary authorities, and fifteen have ordinary district councils, which are subordinate to their local county council. In London the Westminster City Council functions as a London borough council, and the City of London Corporation is the council for the City of London. Nine smaller episcopal cities such as Durham and Wells are neither local government districts nor within a 'local government district with city status', and have city councils which are parish councils, with limited powers. Two cities (Bath and Chester) have no city council. Aberdeen, Dundee, Edinburgh and Glasgow are themselves council areas and have their own city councils. The cities of Perth, Stirling and Inverness are part of council areas which do not have city status, and have no city councils. Stirling Council's application for city status was specifically for the urban area of the (now former) Royal Burgh of Stirling and included proposed city boundaries which are much smaller than Stirling council area. Cardiff, Newport and Swansea are principal areas and have city councils. The city councils of Bangor, St Asaph and St Davids are community councils with limited powers. Belfast City Council is a local government district council. Since the local government reforms of 2015 the four other cities form parts of wider districts and do not have their own councils. The holding of city status brings no special benefits other than the right to be called a city. All cities where a local government unit that holds that status is abolished have to be re-issued with letters patent reconfirming city status following local government reorganisation where that holder has been abolished. This process was followed by a number of cities since 1974, and York and Hereford's status was confirmed twice, in 1974 and again in the 1990s. Failure to do so leads to the loss of city status as happened at Rochester in 1998 (see above), and also previously in St David's and Armagh, although both of these latter have regained city status since losing it. These three had been cities since time immemorial before the loss of city status. The formal definition of a city has been disputed, in particular by inhabitants of towns that have been regarded as cities in the past such as Colchester, which was considered[by whom?] a city from Roman times until 1542, and Dunfermline, although neither are legally cities today. Additionally, although the Crown clearly has the right to bestow "official" city status, some[who?] have doubted the right of the Crown to define the word city in the United Kingdom. In informal usage, city can be used for large towns or conurbations that are not formally cities. The best-known example of this is London, which contains two cities (the City of London and the City of Westminster) but is not itself a city. There are currently 69 officially designated cities in the UK, of which 11 have been created since 2000 in competitions to celebrate the new millennium and Queen Elizabeth II's Golden Jubilee in 2002 and Diamond Jubilee in 2012. The designation is highly sought after, with over 40 communities submitting bids at recent competitions. City status has been applied to a variety of entities including towns, local government districts and civil parishes. See List of cities in the United Kingdom for a list of entities holding the status for each city. Whilst cities are regularly ranked by the number of residents, this is not an ideal measure. Population can, of course vary based on the number and type of residences present, and has to be limited to an area. As mentioned earlier in the article, the official area of a city in the UK is typically the coverage up to a local government/council boundary, there being a variety of council bodies. However, there are exceptions depending on the UK constituent country and whether the council has since been abolished. Such a boundary can typically contain a built up (urban) area, and a surrounding, less populated rural landscape. Inversely, the area of a city can be entirely built up, with that urban environment spilling over a boundary into another area which does not have city status. That wider urban area can still be considered in everyday parlance locally as a whole 'city' although it is not a formal designation. With the 'square mile' City of London being in the middle of a huge urban area, it can be suggested that 'small' should be applied to only cities with minimal urban areas that have nearby surrounding areas of countryside and so is visibly representative of the term, Wells being more suitable in this regard as the smallest standalone city council area. Therefore sizing can be interpreted in a number of ways, and below are top 5 lists of the smallest and largest cities ranked by population, city council area, and urban area. All statistics are 2011 census figures. Population is of the total residents in the city council area. Armagh (no local council) and the Largest Urban Area table both use urban population figures. † Urban areas which extend beyond the city council boundary. It is not always possible to obtain the urban area size of a city alone when the total built-up area (BUA) extends beyond the council boundary. The ONS does sometimes isolate an approximate city urban portion as a built-up area subdivision (BUASD) but those can also spill over borders. To maintain consistency, BUA figures are given, which tend to be not much larger than BUASDs for the smallest of cities, and both Wells and Bangor's rankings in the table would remain the same if BUASDs were substituted instead. ‡ Excludes cities that do not have their own councils or have other settlements in their council name. As noted above, in ordinary discourse, city can refer to any large settlement, with no fixed limit. There are certain towns with large urban areas that could qualify for city status on the grounds of population size. Some have applied for city status and had the application turned down. Northampton is one of the most populous urban districts not to be a London Borough, metropolitan borough, unitary authority or city; on this basis, the council claims that it is the largest town in England. See List of urban areas in the United Kingdom for further examples. The 1911 Encyclopædia Britannica refers to Southwell as a city. 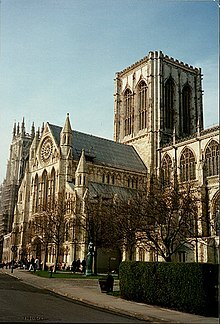 In total there are 14 English and Welsh cities that have never had Anglican cathedrals within their borders – Brighton and Hove, Cambridge, Hull, Lancaster, Leeds, Nottingham, Plymouth, Preston, Salford, Southampton, Stoke-on-Trent, Sunderland, Swansea, and Wolverhampton. Bath Abbey was once a diocesan cathedral, as was Westminster Abbey briefly during the reign of Henry VIII. These cities retained their city status despite their cathedrals losing that status. The national church of Scotland, the Church of Scotland, is presbyterian in governance (not recognising authority of bishops), and thus has high kirks rather than cathedrals. However, the pre-Reformation dioceses do have extant cathedrals, most notably at Glasgow and Edinburgh, which remain in use by the Church of Scotland and continue to bear the honorific title of cathedral. Others (such as that of St Andrews) are now in ruins. As noted above, both Perth and Elgin were recognised as cities before 1975 (Perth's city status was restored in 2012). Additionally, five other pre-Reformation sees—Brechin, Dunblane, Dunkeld, Kirkwall and St Andrews—are often referred to as cities, notably in names associated with the settlements (e.g. Brechin City F.C., City Road in St Andrews). Dornoch, Fortrose and Whithorn also possess pre-Reformation cathedrals but have never been described as cities. Towns with non-Church of Scotland, post-Reformation cathedrals which are not recognised as cities are Ayr (R.C. ), Millport (Episcopal), Oban (R.C. ), Motherwell (R.C.) and Paisley (R.C.). Of these, Ayr, Motherwell and Paisley have larger populations than Perth, Stirling and Inverness, and both Ayr and Paisley have formally made a bid for city status in the recent past. Of settlements granted city status in the 21st century, Inverness (awarded 2001) possesses an Episcopal cathedral (1866), but none under the auspices of the Church of Scotland. Stirling (awarded 2002) has never had a cathedral of any kind. Perth (reinstated 2012) has an Episcopal cathedral dating from 1860, but no pre-Reformation establishment. In Northern Ireland, as noted above, possession of a diocesan cathedral has never (except in the anomalous case of Armagh) been sufficient to attain this status. In spite of this, the 1911 Encyclopædia Britannica refers to Armagh (Armagh had lost city status in 1840) and Lisburn as cities. Armagh subsequently regained city status formally in 1994 and Lisburn achieved city status in 2002. There are four towns in Northern Ireland with Church of Ireland cathedrals that do not have city status—Clogher, Downpatrick, Dromore and Enniskillen. Newry is the only city in Northern Ireland that does not have a Church of Ireland cathedral within its borders. A number of towns describe themselves as cities (at least in some contexts), despite not having the requisite Charter. Ballymena in Northern Ireland has been known informally as "The City of the Seven Towers" since the nineteenth century. The community council for Brechin is called City of Brechin & District Community Council. The local football team is known as Brechin City F.C. (they were formed at a meeting on City Road in the town). Brechin also possesses a cathedral, and was the ancient seat of the see of Brechin. Dunfermline styles itself "A Twinned City" on the signs welcoming visitors to the town. The area committee of Fife council is called City of Dunfermline Area Committee. It also has "city centre" rather than "town centre" written on its road signs. Dunkeld, the see of a bishop until the seventeenth century is sometimes referred to as a city. A "City Hall" was built in 1877, since converted into a holiday accommodation. The community council for Elgin is called City and Royal Burgh of Elgin Community Council. The local football team is known as Elgin City F.C..
Guildford possesses a cathedral and the local football team is named Guildford City F.C.. In 2013 the local council did not submit an application, citing low chance of success, and high time and resource against low benefits ratio. Letchworth Garden City and Welwyn Garden City are medium-sized New Towns in Hertfordshire established to reduce the overcrowding of London as part of the Garden city movement. In its planning, the government of the day intended Milton Keynes, Buckinghamshire, to be a "new city" in scale, and it was referred to as such in contemporary supporting papers, but was gazetted in 1967 as a New Town. It has used the term "City Centre" on its buses and road signs for many years, mainly to avoid confusion with the centres of its pre-existing constituent towns. After its unsuccessful attempts to gain city status, the town of Reading, Berkshire, started using the phrase "City Centre" on its buses and car-park signs. Reading's urban area has in excess of 350,000 inhabitants, making it one of the largest urban areas in the UK and larger than many sizeable cities including Southampton, Kingston upon Hull and Derby. However, the population of the Borough of Reading was estimated as 142,800 in 2006 by the Office for National Statistics, as a number of the town's large eastern and southern suburbs (such as Earley and Woodley) lie within neighbouring local authorities. Colchester in Essex lays claim to being the first city founded in Britain under the Romans in AD43. The city of Colchester was one of three destroyed in AD61 by Queen Boudica of the Iceni during her revolt against the Roman Empire. Despite making several attempts to become the first city in the county, it was eventually beaten by the county town Chelmsford in 2012. Today, Colchester is one of the fastest-growing boroughs in the country and the largest non-metropolitan district in the county of Essex with an estimated 187,000 people. ^ Beckett, J. V. (2005). City status in the British Isles, 1830–2002. Ashgate Publishing, Ltd. p. 22. Retrieved 31 January 2012. ^ a b c d e f g h i j k l m n o p q Beckett, J V (2005). City status in the British Isles, 1830–2002. Historical urban studies. Aldershot: Ashgate. ISBN 0-7546-5067-7. ^ "London Government Bill". Hansard 1803 – 2005. Parliament of the United Kingdom. 16 May 1899. Retrieved 28 July 2009. ^ "House of Commons. Tuesday May 16". The Times. 17 May 1899. p. 9. ^ "City of Westminster". Hansard 1803 – 2005. Parliament of the United Kingdom. 31 July 1899. Retrieved 28 July 2009. ^ "House of Commons". The Times. 1 August 1899. p. 10. ^ Letters patent dated 27 October 1900 declared that "the Metropolitan Borough of Westminster ... shall be a City, and shall be called and styled the City of Westminster, and shall have all such rank, liberties, privileges, and immunities as are incident to a City". "No. 27242". The London Gazette. 30 October 1900. p. 6613. ^ "Portsmouth". Hansard 1803 – 2005. Parliament of the United Kingdom. 20 June 1911. Retrieved 8 May 2010. ^ "House of Commons – Status of Portsmouth", The Times, 21 June 1911. ^ "Leicester, a City: Sequel to the Recent Royal Visit", The Times, 17 June 1919. ^ a b "Functions of local authorities. Memorandum from Health Ministry", The Times, 17 June 1927. ^ "Cambridge petition to the King", The Times, 19 March 1951. ^ "City Status For Southampton", The Times, 12 February 1964. ^ "Fifty votes keep the City as unique local authority". The Times. 14 February 1963. p. 16. ^ "The New Westminster (Official Appointments and Notices)". The Times. 24 December 1963. p. 8. ^ "Prince announces city status for Swansea", The Times, Friday, 4 July 1969. ^ "No. 46255". The London Gazette. 4 April 1974. pp. 4400–4401. ^ Medway Council Archives. "Synopsis of Medway Area charters". Retrieved 15 May 2008. ^ "Local Government in Lichfield: Historical Background". Lichfield City Council. 2009. Archived from the original on 27 September 2011. Retrieved 25 November 2009. ^ "Sunderland casts off ailing past to win city status", The Times, 15 February 1992. ^ a b "Religious centres recover city status", The Guardian, 8 July 1994. ^ Cahal Milmo, "A tale of three (new) cities", The Independent, 19 December 2000. ^ "Joy for Wolverhampton as town becomes Millennium city", Birmingham Evening Mail, 18 December 2000. ^ "Favoured five become city slickers: Political fix claim as English Labour towns upgraded to mark Queen's jubilee", The Guardian, 15 March 2002. ^ a b "Results of Diamond Jubilee Civic Honours Competition announced". Cabinet Office. 14 March 2012. Retrieved 14 March 2012. ^ "Error costs Rochester city status". BBC News. 16 May 2002. Retrieved 28 October 2014. ^ Medway Council – Regeneration and Community Overview and Scrutiny Committee, Report on Rochester City Status, 4 March 2003. ^ "ASA Adjudication on Medway Council". Asa.org.uk. 16 March 2011. Retrieved 28 March 2012. ^ "Scottish Parliament petition number: PE1392" (PDF). www.parliament.scot. ^ "Coat of arms rejected in city status query", The Inverness Courier, 29 January 2008. Retrieved 4 March 2008. ^ "Derry's Walls: First Defences". Derryswalls.com. Archived from the original on 5 April 2012. Retrieved 28 March 2012. ^ "Derry's Walls: The Plantation Begins". Derryswalls.com. Archived from the original on 5 March 2012. Retrieved 28 March 2012. ^ Change of District Name (Lisburn Borough) Order (Northern Ireland) 2002 (2002 No. 231), Office of Public Sector Information. Retrieved 4 March 2008. ^ "City Status conferred on Lisburn and Newry Archived 14 February 2012 at the Wayback Machine", Northern Ireland Office, 14 May 2002. Retrieved 4 March 2008. ^ "Five new cities creates row". BBC. 14 March 2002. Retrieved 14 November 2008. ^ "Armagh to get lord mayor status". BBC News. 14 March 2012. Retrieved 1 October 2012. ^ "More than 25 towns bid for Diamond Jubilee city status". BBC News. 16 June 2011. Retrieved 1 October 2012. ^ Beckett, John (5 July 2017). "City Status in the British Isles, 1830–2002". Routledge. ^ a b "St Asaph: A new Diamond city for North Wales". GOV.UK. Office of the Secretary of State for Wales. 14 March 2012. Retrieved 26 December 2018. The Cathedral city was previously the only one of the twenty two ancient cathedral dioceses in England and Wales (pre-Reformation) not to have been awarded city status. ^ "Corby City Bid! - Appendix 1 5 DIAMOND JUBILEE CIVIC HONOURS COMPETITIONS GUIDELINES ON THE FORMAT AND CONTENT OF ENTRIES" (PDF). Applications may only be made by an elected local authority – normally, in respect of the entire local authority area. ^ "Nomis - Nomis - Official Labour Market Statistics". www.nomisweb.co.uk. ^ "Northampton Multi-Modal Study Final Report, December 2003". ^ "2011 Census – Built-up areas". ONS. Retrieved 1 November 2013. ^ "2011 Census – Built-up areas". ONS. Retrieved 1 July 2013. ^ "Lovemytown website". Lovemytown.co.uk. Retrieved 28 March 2012. ^ "Ballymena Borough Council Timeline". Ballymena.gov.uk. Archived from the original on 3 July 2010. Retrieved 28 March 2012. ^ According to the Municipal Year Book, 1972, the royal burghs of Perth and Elgin officially enjoyed city status. The royal burghs of Brechin, Dunfermline and Kirkwall had also been officially described as "cities". As all burghs were abolished in 1975, these areas are now often called "former cities". Although Brechin does not have city status, the community council formed for the area uses the title City of Brechin and District. ^ "Dunkeld". Ordnance Gazetteer of Scotland: A Survey of Scottish Topography, Statistical, Biographical and Historical. 1882. Retrieved 26 May 2013. ^ "City Hall Luxury Self-Catering Apartments". Retrieved 26 May 2013. ^ Caulfield, Chris (5 June 2011). "Guildford says no to city status". ^ "Taking city name is a right royal insult". Reading Post. S&B Media. 4 April 2003. Retrieved 9 September 2011.